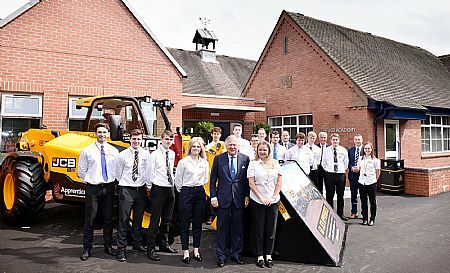 Sponsored by JCB, the academy has core challenge partners that include Bentley Motors, Network Rail and Rolls-Royce. Each of these companies contributes to developing the unique curriculum and learning techniques. To deliver the curriculum, the JCB Academy has employed academic specialists with an established industrial background. Pivotal to the installation of Mitutoyo metrology and inspection equipment was Mr Graham Rowley, the Team Leader for Technical Delivery. 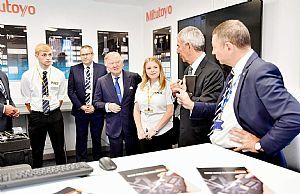 With over 24 years industrial experience prior to working in academia, Mr Rowley says: “JCB realised that to develop the engineers of tomorrow, the company needed a state-of-the-art training facility with experienced staff and cutting-edge technology. I was personally tasked with identifying the inspection equipment that would best serve our learners and prepare them for a future in engineering. It was recognised that inspection and metrology are core subjects for all engineering disciplines, so we set about configuring a metrology department that would be both suitable for our learners and relevant for industry. Both the Student Kits and Tutor Kits are supplied in protective carry-cases that eliminate the potential for damage during transportation. The JCB Academy has four student carry-cases and two tutor cases; each student case is filled with six individual Student Kits. These well-presented kits are far removed from the small selection of micrometers, feeler gauges and vernier callipers that were previously used by learners at the academy. 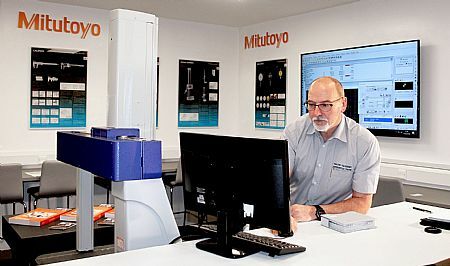 The centrepiece of the metrology department at The JCB Academy is a Crysta-Plus M443 Coordinate Measuring Machine (CMM) that is connected to a 60-inch wall mounted monitor. The manual Crysta-Plus CMM with temperature compensation offers The JCB Academy everything from simple dimensional to complex form measurement on a small footprint 400 by 400mm table. Utilising the very latest MCOSMOS CMM software, learners can evaluate the dimensional precision of components and test-pieces. By connecting the CMM to a large monitor, teaching staff can conduct practical demonstrations to learners in the classroom environment. revelation to our business. It has improved our exposure, brand image and helped increase our lead generation.